Kennedy Town Restaurants Guide - Great Value, Great Taste, Discounts! 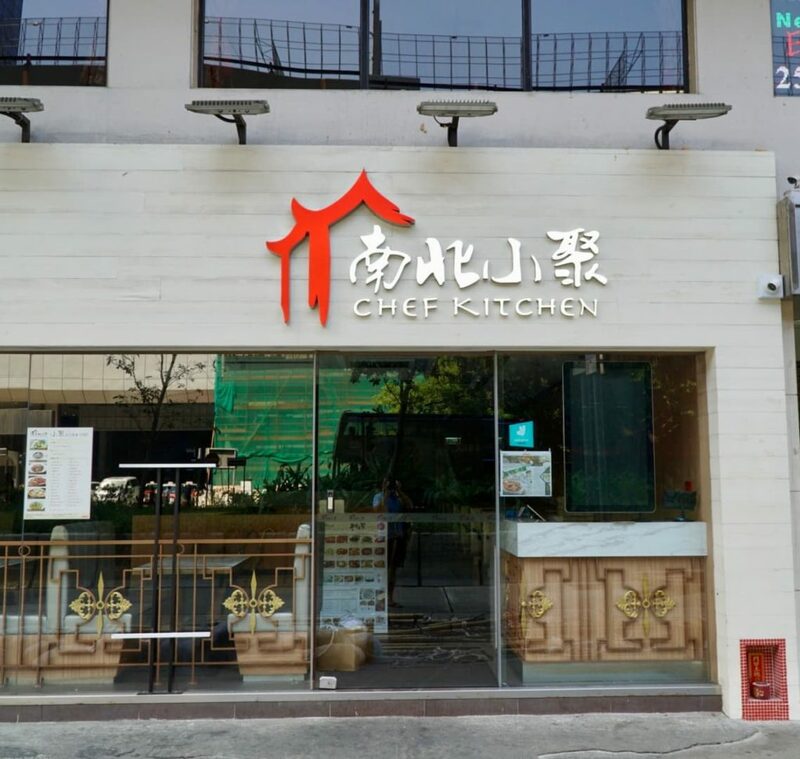 Kennedy Town Restaurants – Great Value, Great Taste, READER DISCOUNTS! Try these fantastic restaurants in Kennedy Town, and leave a comment below letting us know what you think! Who doesn’t love good value? We certainly do! That’s why we’ve reviews some Kennedy Town eateries where you can get dinner for two for HK$200 or less! Moreover, we’ve also scored you some nice discounts, just for being a reader of For Something More! To get the discounts, just show them our logo (the one at the top of this page) before you place your order, and they’ll give you 10% off your bill. As an aside, we are NOT affiliates of any of these places, we’re always simply trying to bring you great value and trying to help you stretch your hard earned dollars even further. Ngai Mei Yuk Fang is quite possibly one of the most unassuming eateries in Kennedy town. With it’s tiny shop front, and only three seats for dining in, they are mostly geared for sushi takeout (see below for our favorite K-Town sit down sushi place). However, the quality of fish that they use, and the nice thick slices that they put on top of every piece, makes this our favorite lower-cost sushi place in Hong Kong. A piece on Kennedy Town restaurants wouldn’t be complete without at least one GREAT dim sum spot, and that’s exactly why we’ve included Heart to Heart dim sum. Less than 6 months on the Kennedy Town dim sum scene, yet Heart to Heart is regularly packed. And with good reason! Their dim sum is consistently fresh, undeniably delicious, and very fairly priced. They also have a full blown English picture menu which makes this place especially friendly to non-Cantonese speakers (though it’s still indeed a ‘locals joint’). 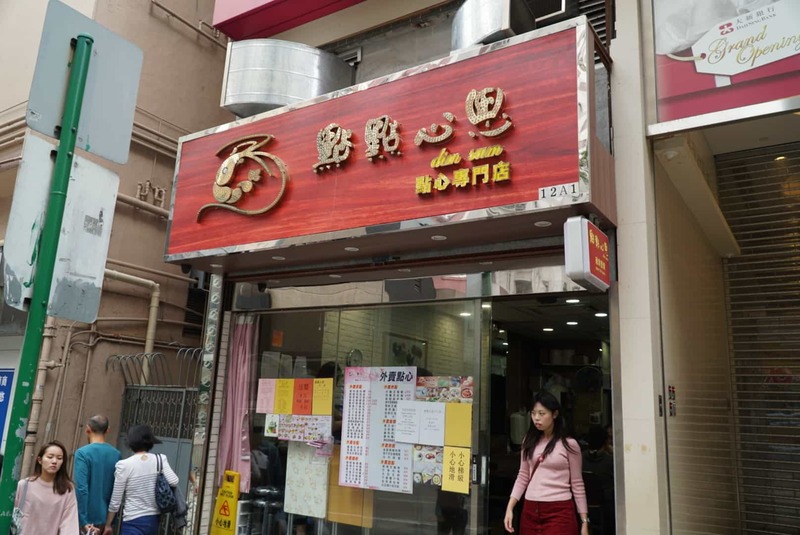 We especially love their deep fried eggplant with minced carp and their pan fried green chili with carp, but no matter what you order, it’s all delicious, and two people can easily get out of here spending HK$150 or less! If you’re looking for DELICIOUS Thai food in Kennedy Town, frankly, there are a number of GREAT options. However, there is no other option in Kennedy Town that will offer you better value than Thai Ros Zab. And we’re not talking about that “delicious but NOT nutritious” type of value McDonald’s provides. From the garlic broccoli, to the sweet and sour shrimp with Thai basil, to the grilled pork neck and even the stir-fried eggplant, all the food on offer here is delicious, affordable and arguably quite nutritious. 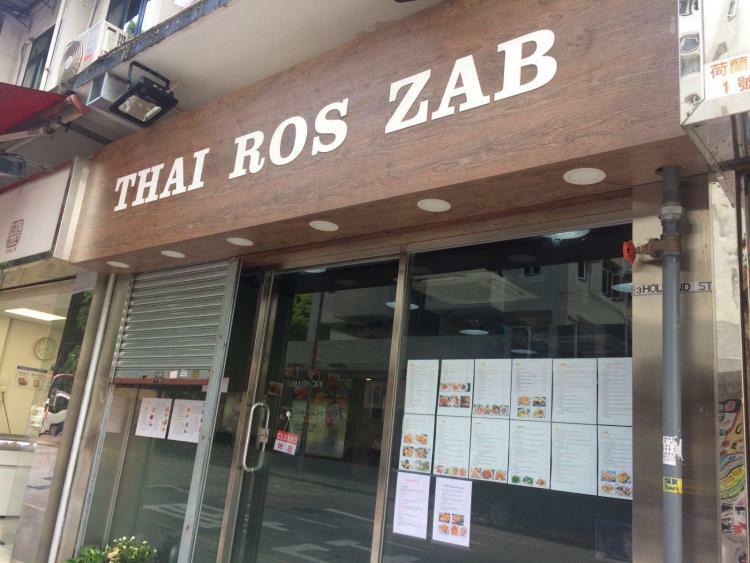 If you’ve yet to enjoy the zesty flavors at Thai Ros Zab, you’re in for a real treat! We eat at North Viet Pho at least once a week, and sometimes even more. From the rich and nourishing beef broth in their pho to the fresh and crispy rice paper shrimp spring rolls, these two items alone keep us coming back time and time again. 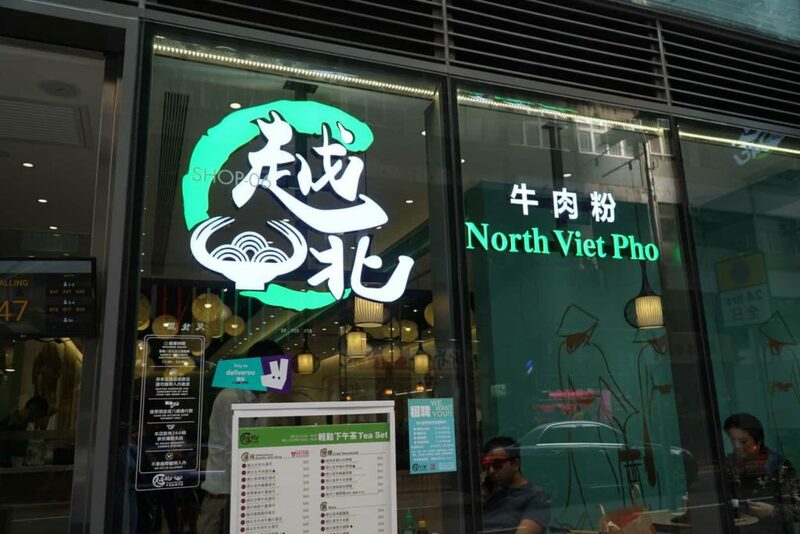 While they have many other Vietnamese items on the menu, we can’t speak to them as we’re staunch fans of the raw beef pho and the shrimp rice paper spring rolls. And again, at HK$100 per person (assuming you each order one pho and one spring roll), you’ll be hard pressed to find such good value elsewhere. If you can take the heat, head over to this mouthwatering Sichuan stir-fry spot. While we’ve been here for both lunch and dinner, the best deal is definitely at dinner. For a mere HK$188, you can enjoy a dinner set for two. It includes an appetizer, two soups, two mains and two bowls of rice. The servings are sizeable, and you’ll not go away feeling anything other than satisfied! If you’re not keen on super spicy food, just ask them to tone it down, and they’ll gladly oblige. 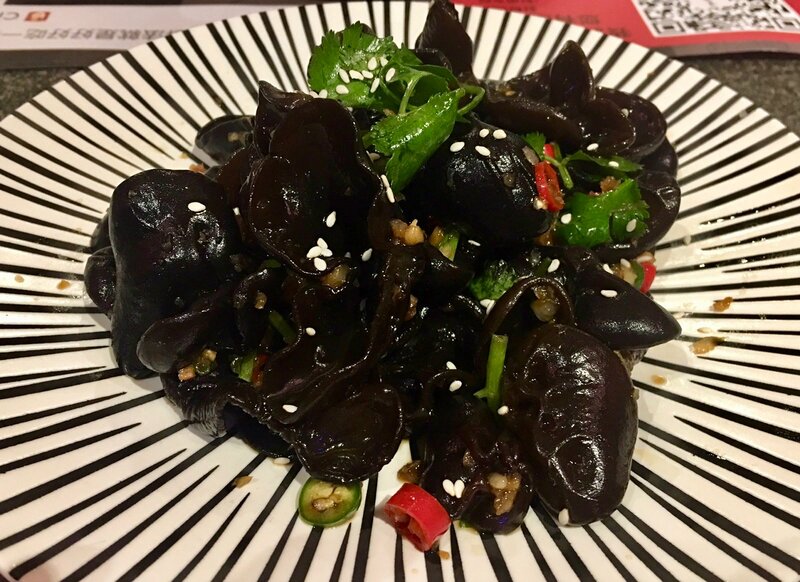 We recommend the black fungus and cucumber for an appetizer (the name sounds gross, but it’s DELICIOUS) and the braised beef in chili oil as well as the fermented vegetable and pork as the two mains. But everything here is delicious, so you’ll not go wrong whatever you try! Your eating experience in Kennedy Town wouldn’t be complete with out a bowl of fishball noodles soup or two. In fact, we have another fishball noodle soup shop listed below! In any case, If you like slow cooked brisket or delicately spongy fishballs (made from Spanish mackerel) in rich soup stock, you’re going to love Boat Dweller. With a milk tea (lai cha), a bowl of either fishball noodle soup (you dahn ho) or brisket noodle soup (ngau lahm ho) is going to run you HK$30. 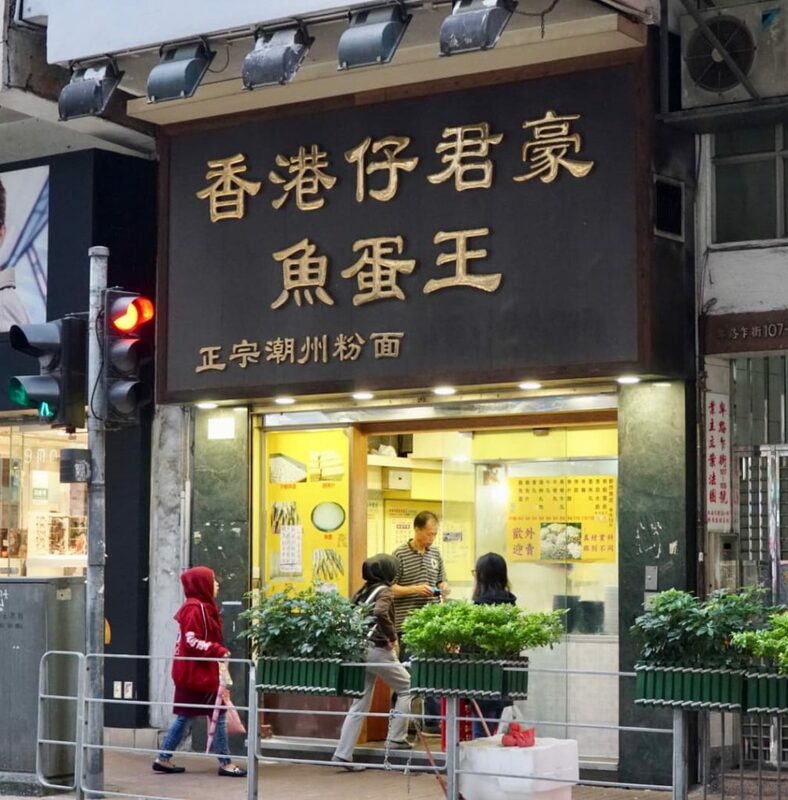 With some boiled veg, usually either choi sumor tung choi, you’ll leave here feeling pleasantly full and not having spent more than HK$50/person. Their opening hours are stated as 10AM-2PM, but those seem to be outdated as we regularly eat there as early as 7AM and as late as 10PM. But no matter the time, definitely check out this delicious deal! If you want more ways to order your fishball noodles, including getting egg noodles instead of rice noodles, check out our Hong Kong Soul Food Guide for all the details (check out the section on fishball noodle soup). Totally unassuming, but TOTALLY delicious, this fishball noodle shop is one of our favorites. Frankly, we can’t decided if we like this one or Boat Dwellers (listed above) better. Nevertheless, try both, and see what you think! We like the beef brisket noodle soup here too. In Cantonese, you can order it by saying aow lam ho, mmm goy, and you’ll be set! For fish ball noodle soup, just say, you dahn ho, mmm goy and a piping hot bowl of fish ball noodle soup will be coming your way! If you want more ways to order your fishball noodles, including getting egg noodles instead of rice noodles, check out our Hong Kong Soul Food Guide for all the details (check out the section on fishball noodle soup). It’s usually packed, because the food is DELICIOUS! This place is FAMOUS in Kennedy Town, and is well known all over Hong Kong. If you’d like to sample some made-fresh-daily, piping hot and scrumptious dim sum, take a trip to Sun Hing. Goers beware, this place is usually packed, especially in mornings, but their fantastic dim sum is well worth battling for either a table or a takeout order. 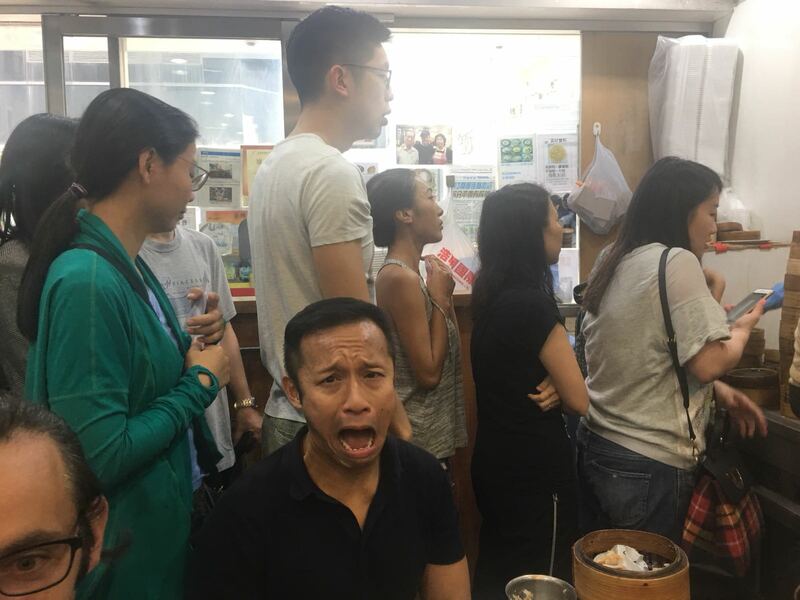 We recommend their yok bang fahn (steamed minced pork and rice), their sin johk goon (steamed tofu skins stuffed with minced pork and veg) and their ha gau (steamed shrimp dumplings). And again, no need to bring more than HK$50 per person as this delicious meal is certainly a steal! 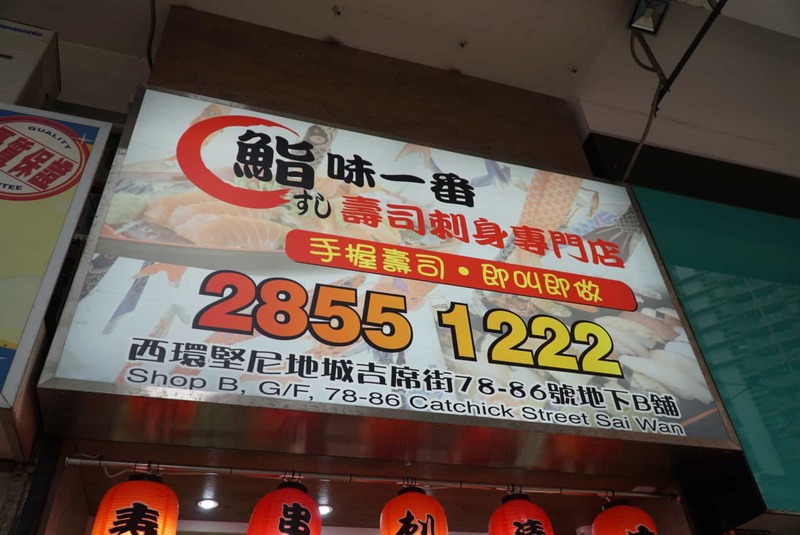 We think this is the best value sit down sushi/yakitori restaurant in all of Kennedy Town. While it’s ambiance isn’t much to talk about since it’s quite a small place and it doesn’t have many complex interior design elements, the food is FANTASTIC. In classic izakaya fashion, they serve Japanese pub food, i.e. sushi and yakitori. We suggest you order some of both, as it’s all delicious, all the time at 28 Izakaya! The beef cubes is one of my favorite izakaya items, and their uni sushi (sea urchin) is incredibly fresh, creamy and rich. This Shanghainese restaurant is DELICIOUS! And we have not had a bad meal here yet! From Shanghainese noodle soups, to a whole variety of stir fried dishes, you’re going to have an overwhelming number of options to choose from. To help you out a bit, we recommend their dumplings. Handmade fresh daily, from their steamed dumplings, to their fried ones to even their soup dumplings, sieu long bao, the dumplings here are to die for. We also recommend their stir fried chicken and cashews as well as their stir fried eggplant with scallions and minced beef. And of course, this meal will also be a steal, so don’t expect to pay much more than a total of HK$200 for a dinner for two. This is the best Sichuan food in Kennedy Town. If you don’t believe us, try it for yourself! Opened mid April of 2018, 12 Flavors immediately had a line out the door and with good reason. Their Ma Po Tofu, our litmus test for Sichuan food, is sizzling hot and has the perfect amount of sichuan peppercorn to make your mouth tingle. Their specialty, dry hot pot (made with whatever ingredients you choose) is absolutely fantastic. They have many classic sichuan side dishes including smashed cucumbers with garlic, black fungus with a vinegar and chili dressing as well as many more. Best of all, two people can eat here for HK$200 or less, and you’ll come away full and satisfied! Definitely check this out ASAP! Well, there ya have it! Give these places a go, and in the comments section below, let us know if you think they’re as good as we do! And of course, let us know about any other cheap eats in the area that you think belong on this list! If however, none of these spots tickle your fancy, check out our Hong Kong Soul Food Guide for some more options, and either way, happy eating!